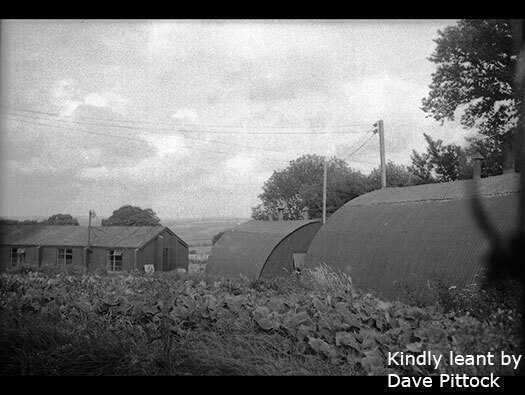 Chain Home 18, RAF Trerew, Cornwall. Chain Home RAF radar Station. 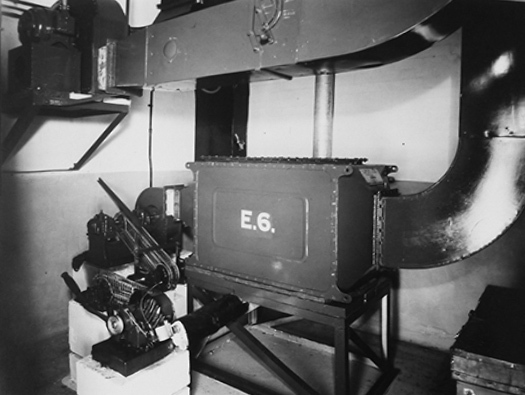 CH = Chain Home was a set of radars that were started prior to WW2 and in 1939/40 covered the east coast of England, by 1945 they had been expanded to cover the whole of the British Isles. The radar was an early form and when switched on it lit up like a row of searchlights. A plane flying towards the light is shown up on a screen and direction, height and numbers could be read out. But as the planes fly over the aerials they cross out of the light and then it was the job of the Observer Corps (later Royal Observer Corps) who were situated all over the country would then report their sightings and passed them on to the RAF and fighters would be scrambled and sent to intercept the boggies. 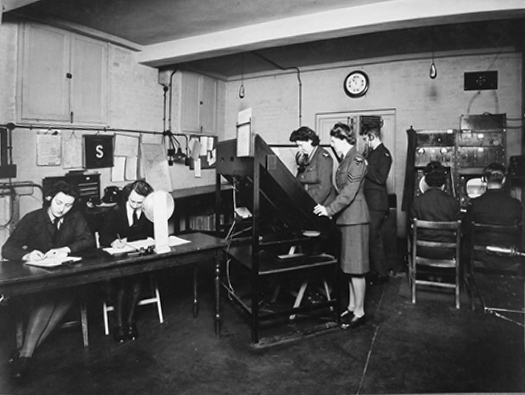 Radar coverage in the Battle of Britain. 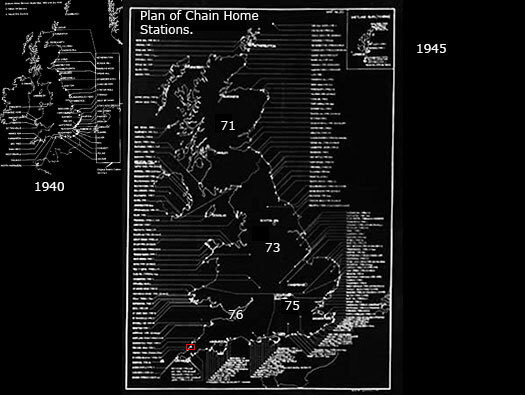 These are two plans of all the Chain Home stations around Britain between 1940 & 1945. 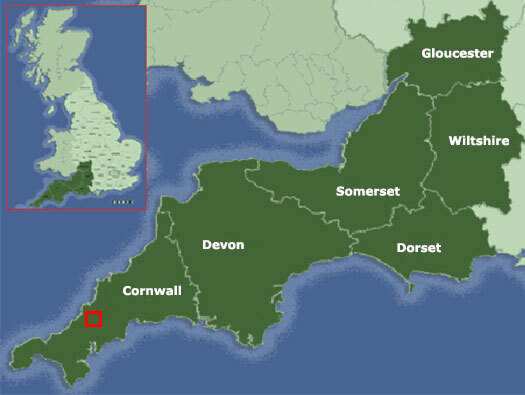 The smaller plan is the 194 stations used in the Battle of Britain. This is t the main site. Two transmitter & two receiver blocks & the admin area and aerial arrays. Two Chain Home receiver aerials. Two Chain Home transmitting aerials. and RAF Police would protect the site post war. West Coast Type 'C' Receiver block. Just inside the gate on the right is part of its side wall which would have been completely covered in earth. Entrance to the receiver block. 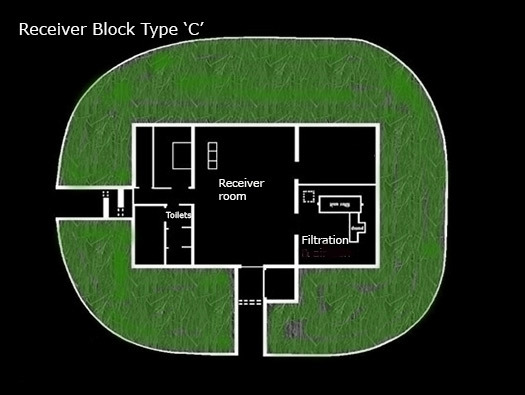 Plan of the block made of reinforced concrete and covered in earth grassed over. Important information on the door. Inside the main room with the entrance on the right and the air conditioning/filter room through the door. Gas was always a worry so a filtration plant was always fitted in. A view held in the National Archives in Kew. Part of the ventilation plant.. Door to the toilets and small store. Note the glass in the door, this is a throwback from the RAF expansion scheme and was also used in decontamination buildings. Back of the toilet passage door. 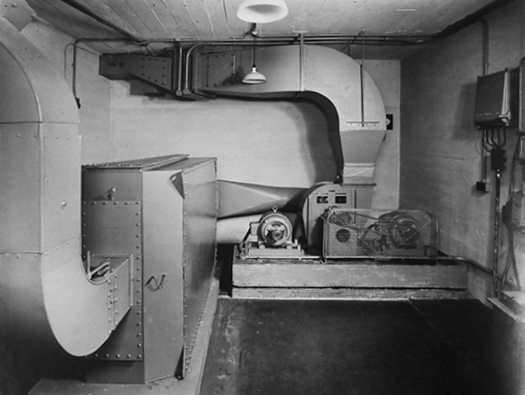 All these bunkers were built and then fitted out with the electrical supply and equipment so thats why the wiring is run through conduit tubes. Just when you need one its engaged!! All airmen and officers wore hats and in cold weather heavy coats so there would have to be a proper storage for them. Usually there was a hat shelf where the hats could sit. The two types of hats worn by the RAF. Power generation. The whole camp would have been run off the local grid and if that failed these generators would cut in and take over. 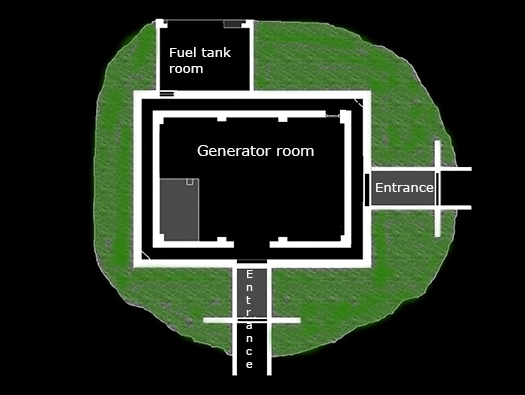 Plan of a Standby Set House. The gap between the outer blast wall and the main building. An emergency escape out of the space between the blast wall and building. There were two of these in opposing corners. Croslley Stand by Generator Set West Coast type. Details of where equipment was hung on the wall. Overhead gantry to lift items. Now the damp getting in. The view across the countryside. 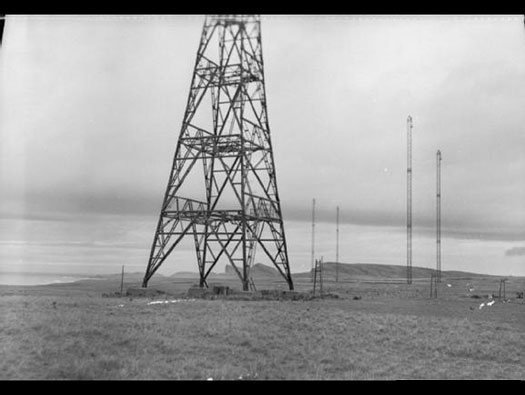 Four receiver and four transmitter towers. Layout of cables between the aerials. The two pairs of wooden aerials and two pairs of steel aerials. This set is situated somewhere on the coast. RAF secret photo of a set of west coast aerials. 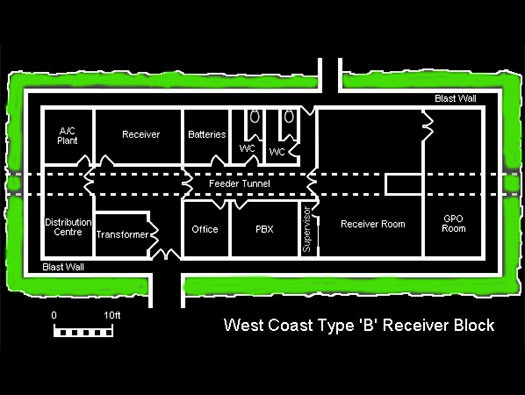 West Coast Type 'C' Receiver Block plan. Main switchboard west coast switch board. 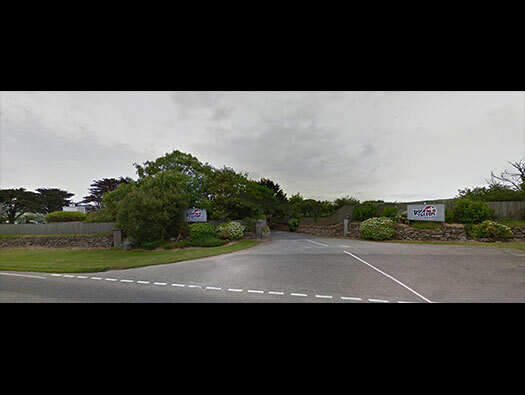 British Foundry Engineering Co. LTD. 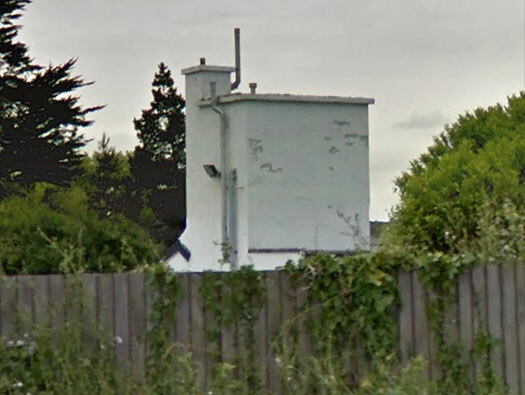 Ventilation chimney at the far end of the building. A bridge to allow the roadway to go over the cable ducts. 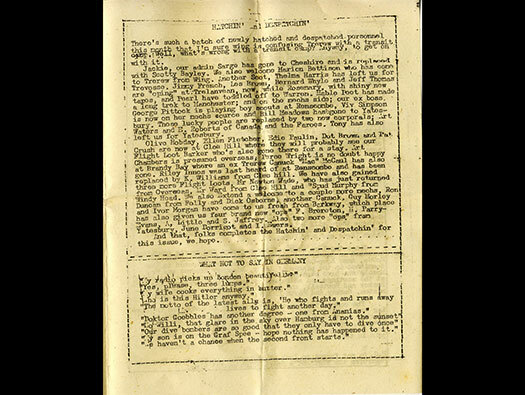 1942 establishment of a Chain Home station. The tower is the high level water tank and a chimney for a boiler to heat the water. It would have been painted in two colours, light colour above, green below and a dark green dado line running around the wall. Wooden base plate for a light switch. 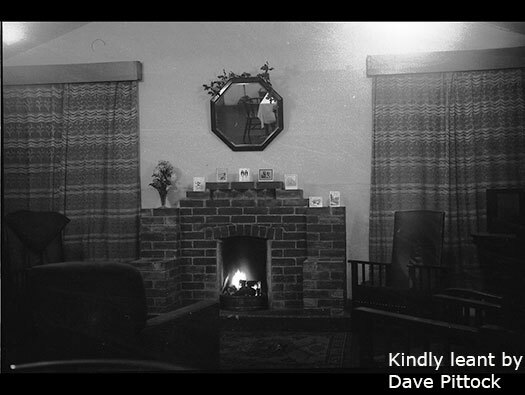 The fire places were often removed and re used in old houses. Ornate fire place, how it may have looked. Another pair of water towers. Just north of the admin site on the main road is the communal site. This was one of the communal sites. 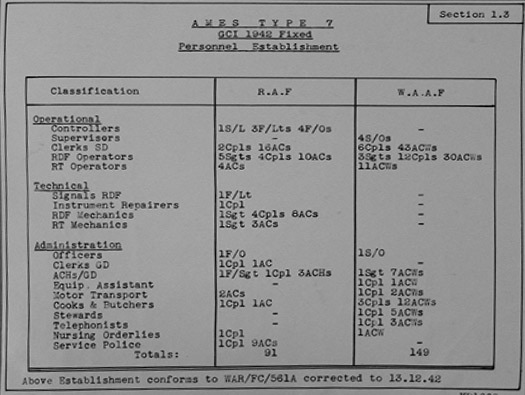 I know there was also a WAAF site as well. Communal water tower and chimney. Part of the domestic site in 1943. Nissan and temporary brick huts. 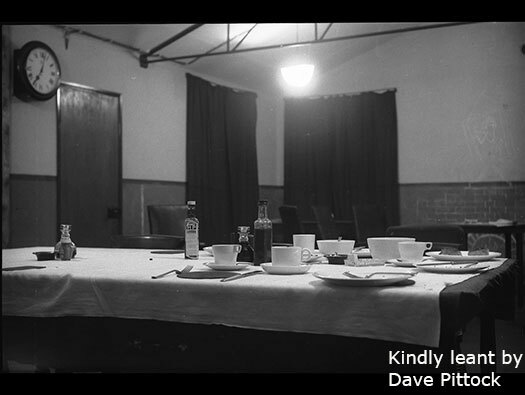 Canteen after Christmas dinner 1943. The clock says 7.00pm and dinner is over. A Sergeants Mess at Christmas. 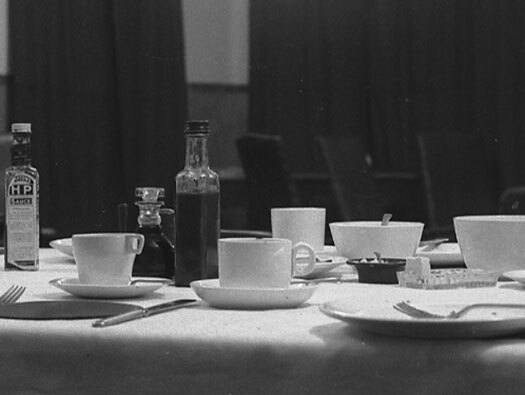 On the table HP sauce, vinegar, more sauce, sugar, ash tray and butter. 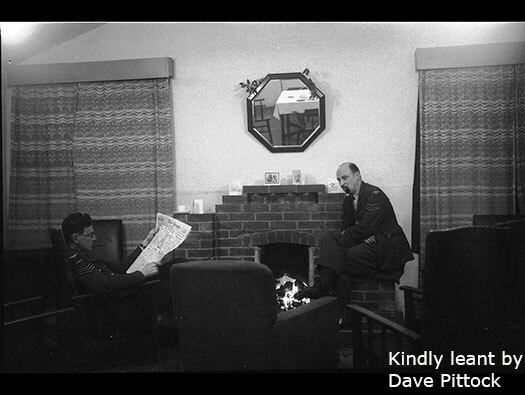 The photographer was Flight Sergeant George Pittock 929394 an electronics mechanic and he met and later married a WAAF Doreen Penny 2021614 and their son Dave sent these photos. 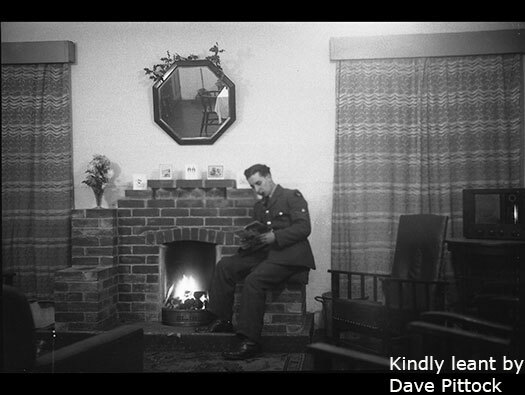 A sergeant reading a magazine with Christmas cards on the mantle piece. Two more sergeants, one reading The People news paper. 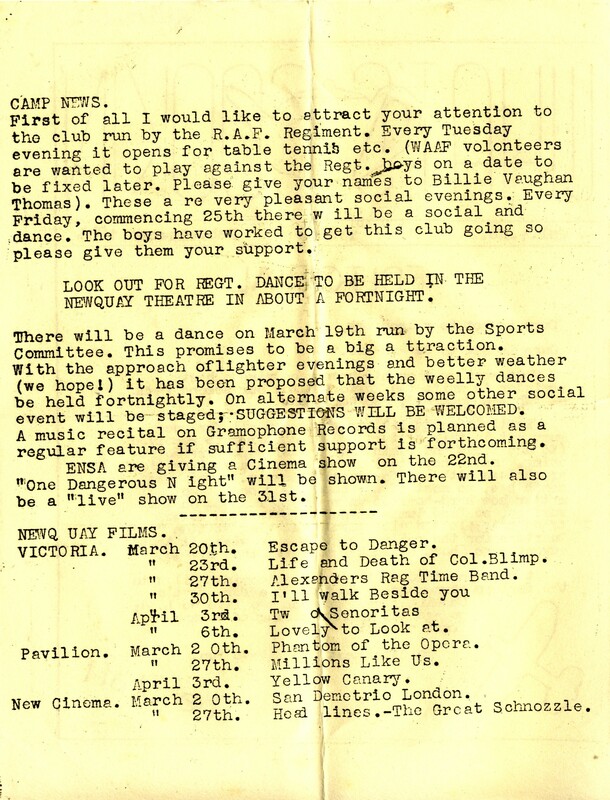 This one is The People dated April 1945. Another Sergeant sitting on the fire place. A lovely set of photos showing just another Christmas at war. 'What's Cookin' Vol.1.No.2. RAF Trerew Feb March 1944. The Bi monthly camps magazine. 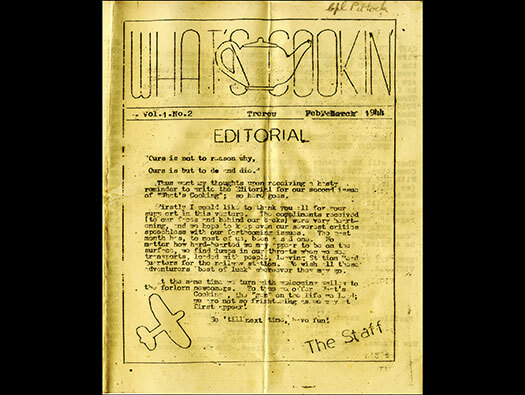 What's Cookin' Vol.1.No.2. RAF Trerew Feb March 1944.